Single malt from Austria? I have what was probably the first bottle of Reisetbauer in Canada. 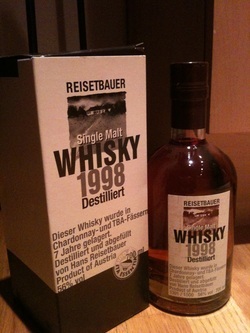 Reisetbauer has gone to the trouble of growing and malting their own barley to create this fine single malt. The whisky is double distilled, in pot stills, then aged in barrels that previously held Austrian wine. The 1998 expression is bottled at 56% ABV and has an amber hue that is darker than would be expected from a whisky of this age, though the colour makes it obvious that the oak barrels are of European origin. 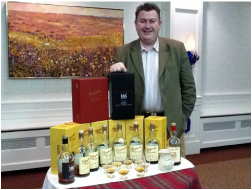 George Grant and a sampling of Glenfarclas. Glenfarclas is Scotland's only remaining family-owned independent distillery. It is also one of Scotland's most underrated distilleries. While other distilleries like to hype up the media and charge five figures for mediocre Scotch merely because it is limited or comes in fancy crystal, Glenfarclas keeps on making great whisky at a great price point. 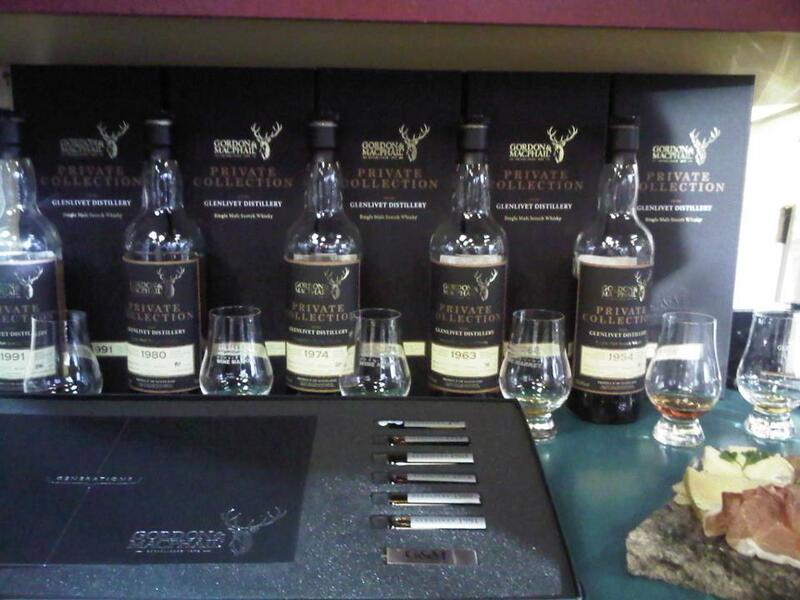 I recently had the pleasure of attending a tasting of Glenfarclas. The tasting was led by George Grant himself and we tasted six vintages of the Glenfarclas Family Casks, the 175th Anniversary Chairman's Reserve and the 20-Year Edition of the Glenfarclas 105 Cask Strength. Gordon & MacPhail Glenlivet 70-year-old. Gordon & MacPhail bottled this 70-year-old Glenlivet. I tasted it along with five other G&M Glenlivet's which comprise their Decades Set. If you click on the photo to the right, a photo of the Decades Set should open up. 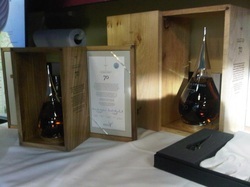 While the Decades Set cost a "mere" $5,665 for five bottles, the 70-year-old itself cost $22,000 for a bottle. The 70-year-old is not, by a long shot, the best whisky I've ever had. It's not even the best Glenlivet I've ever had. But it was remarkable. It was shocking that the whisky did not taste over-oaked. In fact, it was incredibly delicate. And even though generations have passed since the whisky was distilled, it exhibited the same Glenlivet character present in today's expressions. If $22,000 is too rich for you, you can have a 200mL bottle of the 70-year-old for only $5,999! 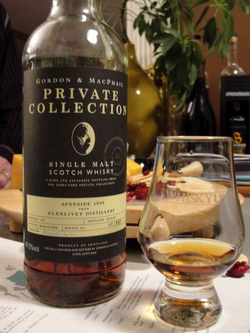 Gordon & MacPhail Private Collection Glenlivet 1959. Limited to 197 bottles and bottled at cask strength (47.5% ABV), this bottle of Glenlivet from 1959 was a real treat to try, especially since it was the only bottle in Canada. The bottle was a gift given to Gordon & MacPhail's agent, Gold Medal Marketing, and they were kind enough to share this 50-year old Scotch with some friends. Despite being 47.5%, this Scotch was amazingly delicate. It had a gentle sweetness with soft oakiness. It's been many years since I got to taste this amazing dram and I still think about it from time to time. It would be on my lifetime, top 10 list (but don't ask me what the other nine are).